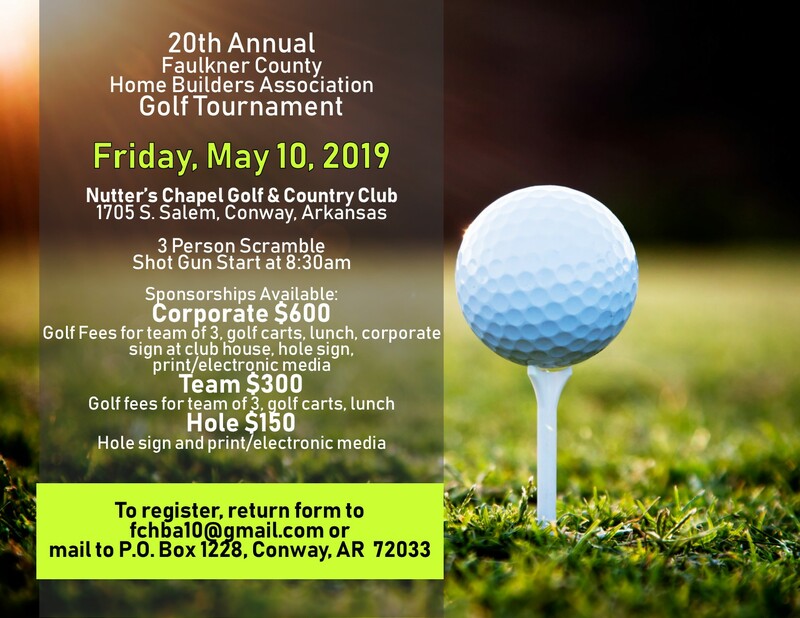 The Faulkner County Home Builders Association (FCHBA), is a non-profit, community minded and environmentally responsible organization comprised of Builders and Associate Members. The association works to represent and promote all areas of the building industry and its related trades and professions by encouraging ethics and professionalism among it's membership. The association provides educational opportunities and information to both its membership and the general public. As an affiliate member of both the Arkansas Home Builders Association (AHBA) and the National Association of Home Builders (NAHB) we are committed to monitoring policies and practices that improve and promote the home building industry. 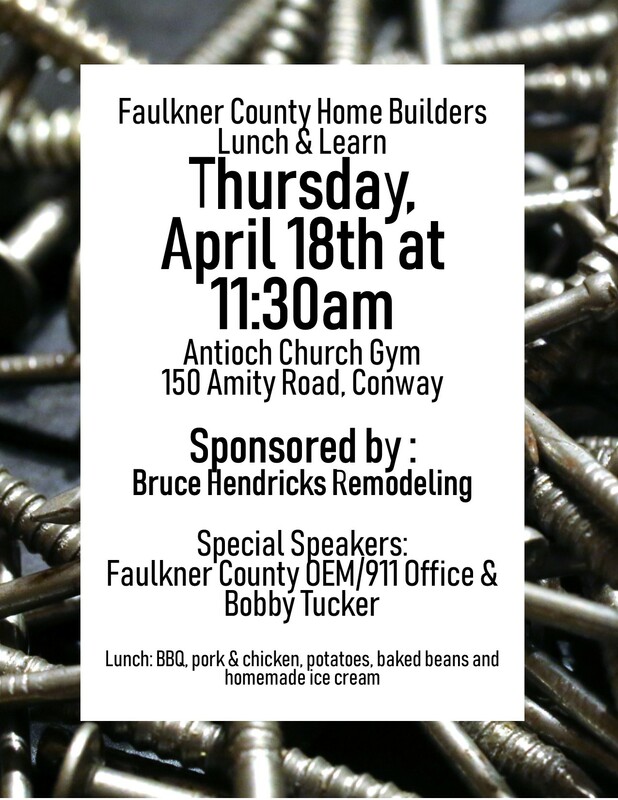 The association serves as the voice for the building industry in Faulkner County to provide safe and quality housing in our communities.